4 Reasons You Need Machines In Your Workout! Free weights aren't the only "functional" equipment in the gym. Here are four indisputable reasons why machines should be an integral part of your training program! There's a strange trend in fitness today: Personal trainers and trainees alike seem to love bashing machines for not being "functional." Leg presses, machine curls, lat pull-downs, seated bench presses, anything done on the Smith machine—unfortunately, nearly all of these have been deemed worthless by a growing segment of the fitness industry. You know what I think of that? I think it's ridiculous. You want functional? How does building muscle, getting stronger, and working on weak areas of your physique sound? Sounds pretty functional to me. And this is exactly what machines can help you accomplish. Machines offer numerous benefits that free weights can't. Now, I'm not suggesting you nix—or even reduce—barbell and dumbbell work from your program. Free weights should form the core of your workouts, but it's in your best interest to complement your free-weight training with regular use of selectorized machines, the cable cross-over station, Hammer-Strength or similar equipment, a Smith machine, and other modern muscle-makers. 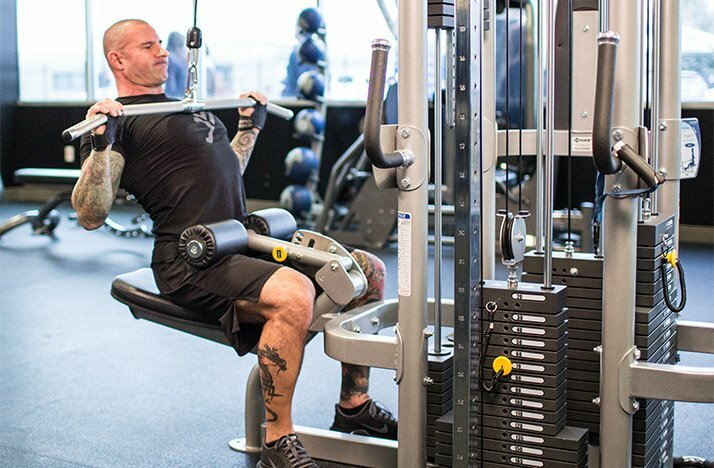 Here are four good reasons why you should include machines in your lifting plan! First and foremost, weight machines generally offer a higher degree of "built-in" safety than free-weight exercises, which is especially helpful for beginners. No exercise is 100 percent safe, but you don't have to worry about losing control of a dumbbell when doing machine overhead presses or getting trapped under a bar while benching in a Smith machine. First and foremost, weight machines generally offer a higher degree of "built-in" safety than free-weight exercises, which is especially helpful for beginners. Sure, you can argue whether the motion of a machine is "natural," but I think it's pretty clear that several machine movements are less technical and leave less room for error than free-weight counterparts. With barbells and dumbbells, part of the work you do during a set is balancing the weight to dictate the path of motion, which, to a degree, limits how much you can lift. Machines, on the other hand, balance the weight for you along a fixed, secure path of motion. All you have to do is push or pull the weight, which allows you to pile on more weight and overload your muscles in a safe manner. That said, machines don't need to be pushed back to the end of your workout after free weights. Compound exercises like Smith machine bench presses, lat pull-downs, and leg presses, for example, are great to do early in your routine when you want to load up with maximum weight while your muscles are fresh. When you want to put a beating on a particular muscle group, machines are often more practical than free weights. The best example of this is dropsets, where you extend a given set past muscle failure by decreasing the load one or more times without resting and continue to rep out. You can easily do dropsets with dumbbells by "running the rack," but most other free-weight moves aren't quite so conducive to the technique. Cables and selectorized machines, on the other hand, are tailor-made for dropsets. When you reach failure with a given weight, lightening the load is as simple as moving the pin down the stack one or more slots; in most cases, you can do this in a couple seconds. When you want to put a beating on a particular muscle group, machines are often more practical than free weights. The best example of this is dropsets, where you extend a given set past muscle failure by decreasing the load one or more times without resting and continue to rep out. Another key element here is exercise form. When muscles are heavily fatigued (as they'll be in the middle of a grueling dropset), technique often suffers. Machines can help here. Not only is the path of motion fixed, but on many machines, you're seated and thus in a less-compromised position for injury. The stress is primarily focused on the target muscles, not on vulnerable joints like the lower back. Machine exercises provide guaranteed constant tension through the full of motion of every rep; free weights can't offer this. That means there's nowhere to rest over the course of the range of motion, keeping the target muscle under tension. The reason? Gravity. The best example of this is the dumbbell fly. There's tension on your pecs as you lift the dumbbells up (against gravity), but that tension is removed just as your hands come directly over your shoulders. Those last 6-12 inches or so of range of motion, where the dumbbells are coming together, are essentially useless because you're not moving the weight against the force of gravity (they're coming together, not up). This is a wasted opportunity to torch the inner-pec muscle fibers, which is why I prefer to do cable flyes or cable cross-overs instead. With cables, those final inches of the range of motion are the most difficult as the inner pecs take over to finish off the movement. 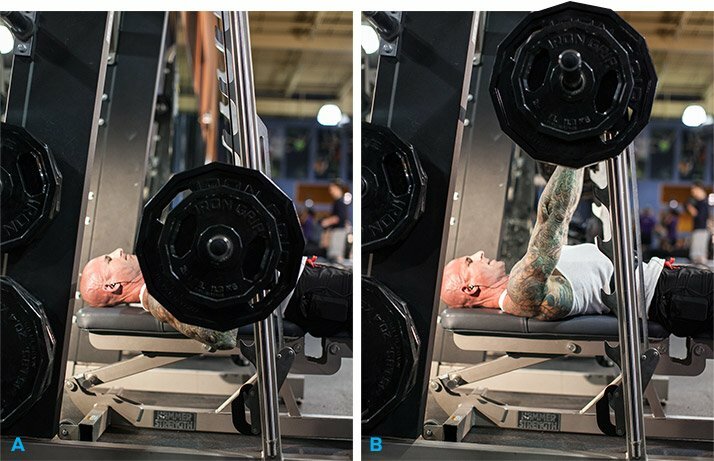 When it comes to balancing out a training program with the right mix of free-weight and machine exercises, below are some of my favorite machine moves for building mass. Sprinkle these into your existing routine the same way you do with barbell and dumbbell exercises. 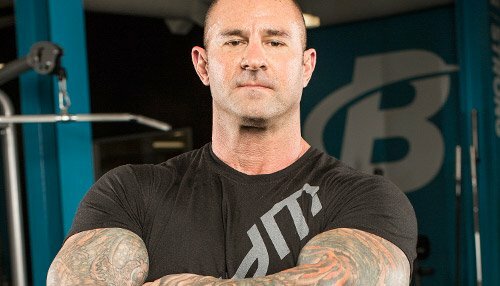 Photos and instructional videos of these exercises, as well as full training programs that implementthem, can be found on my website JimStoppani.com.